Liverpool captain Jordan Henderson has proven his fitness enough to be named in the provisional Euro 2016 squad for England along with Nathaniel Clyne, James Milner, Adam Lallana, and Daniel Sturrige. With just two days to go until the Europa League final, Liverpool’s season isn’t over just yet. For most of the clubs in Europe’s big leagues, though, Sunday marked the end of another campaign. Juventus ran away in Italy, Barcelona defended their La Liga title, Bayern Munich did what was expected of them, and Leicester City did what nobody had expected until recently. And so, with seasons ending around the continent, the attention for many turns to France and the 2016 Euros. Roy Hodgson has named five Liverpool players to his provisional England squad—including Jordan Henderson, who had been a slight fitness doubt for the Euros before returning from injury on Sunday. He joins a quartet of Liverpool players in Nathaniel Clyne, James Milner, Adam Lallana, and Daniel Sturridge. If fit, all will be expected to play major roles for the Three Lions at the Euros, and England’s squad looks to be one with some potential. You can insert your “beating a dead horse” jokes here, but Jürgen Klopp isn’t wrong that treating young players like slaughtered stallions maybe isn’t the best way to ensure their proper development. You know Jürgen Klopp is settling in as Liverpool manager when he is already embroiled in his very first disagreement with the FA. Like many of his predecessors, Klopp found himself angry with the powers that be in England’s national team set up when young Jordan Rossiter played an unheard of three full matches in the span of five days for England’s U19 side. Klopp said on the subject. Presumably England is aware that young players like Rossiter are their future as well, not just Liverpool’s, yet that hasn’t prevented them from overplaying a youngster who will now miss Klopp’s first Europa League match due to a hamstring injury picked up on international duty. The England U19s are in the midst of qualifying for the U19 European Championship taking place next summer in Germany. The Liverpool Echo is under the impression that there was added pressure for England to finish top of their group, which they ultimately did with seven points from three matches. Whether an injury to the omnipresent Rossiter was worth it to the FA remains to be seen, but nonetheless England’s governing body for football will allegedly be reaching out to Klopp regarding his concerns. It wouldn’t be going too far to suggest that he’s unlikely to be satisfied by their explanations. Steven Gerrard today announced his retirement from international football with England following a glittering 14 years of representing his country. The midfielder’s journey with the Three Lions took him to three World Cup tournaments – 2006, 2010 and, most recently, this summer – and three European Championships. After a debut against Ukraine in 2000, a total of 114 caps were amassed in the white colours, including 38 appearances as captain, making the Huyton native the nation’s third most capped player of all time. In recognition of the Liverpool skipper’s unflinching commitment to England, he will now continue his relationship with the Football Association through an ambassadorial role. “I have enjoyed every minute of representing my country and it is a sad day for me knowing that I won’t pull on the England shirt again. However, I do look forward to continuing my strong relationship with The FA and helping out in any way I can going forward. “I’d like to firstly thank my family and friends for all their support throughout my England journey. I’d also like to thank everyone who has been part of my international career, from the England managers I’ve played under to the staff at the FA and, of course, all the players I’ve been fortunate to play alongside. In particular, the supporters have been amazing, not least in Brazil when they got behind the team despite the disappointing results. “I’d especially like to thank Roy [Hodgson], firstly for giving me the captaincy permanently when he took the job, making me the proudest man in the country and allowing me to fulfil my childhood dream. He has been very understanding over the past few weeks and is a man I will always hold in the highest regard. “This has been a very difficult decision, one of the toughest I’ve had to make in my career. I have agonised over this since coming back from Brazil and have spoken to family, friends and people close to me in the game before coming to this point. “While I’m disappointed in the decision, I can entirely understand Steven’s situation and can have no complaints given the incredible service he has given to his country. I must respect his wishes due to the discussions we have had and the amount of thought and consideration he himself has given it. “He is an incredible man and a fantastic footballer who we have all been blessed to see in an England shirt so often. It is never by coincidence that people reach such a staggering figure as 114 caps, it is a mark of his wonderful talent allied to a huge drive and determination to live up to the highest standard. Daniel Sturridge scored a stunning goal as England recorded a 3-0 friendly victory over Peru at Wembley on Friday night. 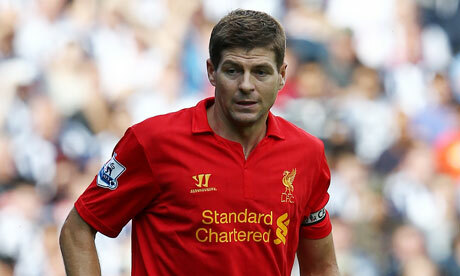 The Reds duo were joined in the starting XI by Steven Gerrard, who skippered the team, and Jordan Henderson. Raheem Sterling, meanwhile, was introduced into the action as a second-half substitute. Centre-backs Gary Cahill and Phil Jagielka were England’s other scorers. Church Urban Fund’s latest research report examines the impact of the current economic climate on community organisations in the most deprived areas of England. It follows two reports published by Church Urban Fund in 2011, ‘At the Cutting Edge’ and ‘Holding on by a Shoestring’, which looked in detail at how public spending cuts were affecting people and organisations at a grassroots level. Returning a year later to the same organisations, we wanted to examine the ongoing effects of the economic climate. We found that the current economic climate is having a significant impact upon community organisations and people living in deprived areas of England. This impact can be seen in the rising demand for services and the difficulty of securing funding. However, in response to these difficulties, organisations are employing a range of survival strategies in order to meet rising demand with rising service provision. Emily took her on board and fed her tuna from a sandwich from the train’s buffet and put her in a box in her compartment. She then asked controllers to alert the RSPCA and the charity got in touch with on-call vet Matthew Berriman in Penzance. Matthew, 34, said Polly was in such a bad state he thought she was a stray and was preparing to put her down. But she used up her final life when he decided to check if she had been microchipped – and found she had. 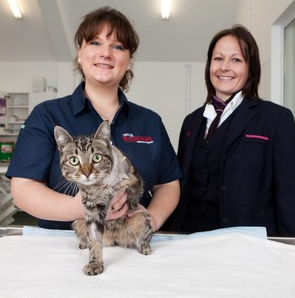 The chip gave the details of the cattery in Plymouth who had looked after Polly before giving her a home with retired train driver Arthur Westington, 84, and his wife Louisa. Polly’s owners had not seen the cat in three weeks and thought she was gone for good. They gave permission for her limb to be amputated. Polly is recovering well and will be returned home soon. Click here for the full article. Skipper Steven Gerrard says he is getting back to his best after describing his form over the first half of the season as “mixed”. The 32 year old has played every minute of Liverpool’s 21 Premier League games so far this season and scored four goals, three of those coming in the last five league appearances a sign that means Gerrard’s peak performance level is about to return. “I’ve had mixed experiences this season. I’ve passed some unbelievable landmarks for club and country, getting to the 600 games mark and winning my 100th cap for England. But with the slow start we made and being where we have in the league it’s been a bit mixed for me. There’s my form as well. I’ve played well in some games but I’ve been disappointed with myself in others and I’m not happy with my goal tally at the moment. I think my performances are getting closer to where I want them to be so if I can add goals to those performances then maybe people will start saying the old Steven Gerrard is back. I don’t think the manager’s asked me to do anything different in terms of the way he wants to me to perform but because of certain injuries, situations that have happened to the team and formations that we’ve played, I’ve naturally played a little bit deeper. I’ve maybe gone into protection mode rather than playing the old Steven Gerrard way with the shackles off and going for the jugular. When you’re one of the experienced players in the team, the team’s more important than yourself and maybe I’ve sacrificed myself in certain games and tried to protect by playing deeper and be a controller with Joe [Allen] but now that Lucas is back, he gives me the licence to get forward a lot more so hopefully I can add some goals to my performances. Steven Gerrard is top of the Premier League’s assist chart, with 8 assists and has scored 4 goals for Liverpool this season. Let’s hope our Captain fantastic continues his form against Manchester United this weekend.